As a musician, I always look for ways to connect with other musicians while in Sicily. 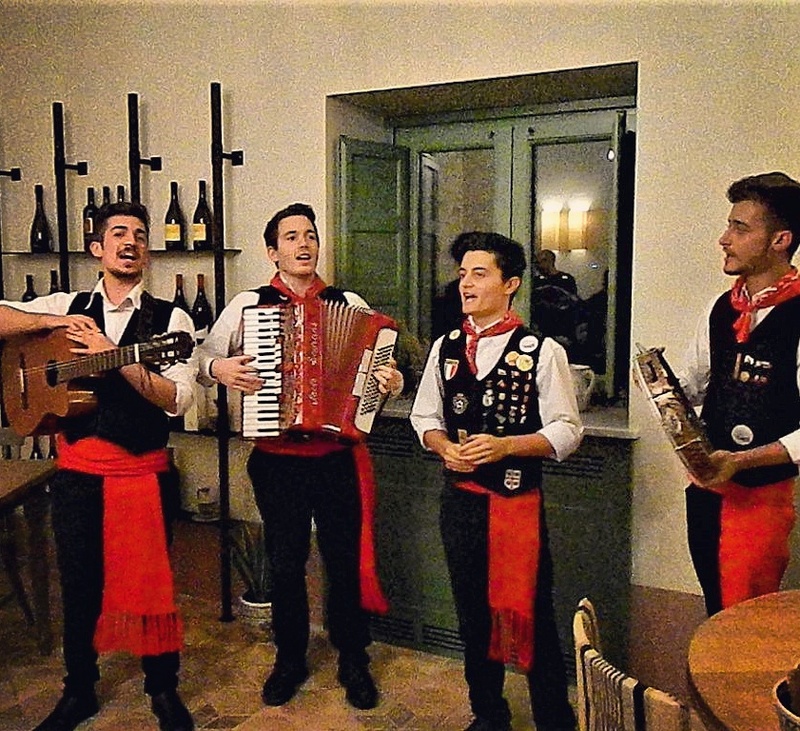 During our Savoring Sicily tour last September, we enjoyed a private concert by these gifted young men from Favara. They were all first- and second-year college students studying different fields, and so talented! We had such fun with them. They also engaged us in a dance lesson! Thanks to Annalisa Pompeo of GoSicily Sicilian Cooking Experience for organizing a very special evening during our hands-on cooking class. July 13-20, 2017, you too can experience Sicily through music! Join us for a family-friendly week of joy and revelry in the Sicilian countryside. Breathtaking landscapes, remarkable cuisine, and fascinating culture and history will enchant you alongside concerts and mandolin, guitar, and songwriting sessions. Led by mandolin master John T. LaBarbera, yoga and body-work instructor Jennifer Stigliani Bowen, professional guitarist Joe Ravo, songwriter Allison Scola, together with local masters, our Music and Revelry tour is a “slow” Sicily, one with harmonious moments you’ll be talking about for years to come. Music lovers, families, hobby-musicians, and professionals are all encouraged to participate in a wonderful mix of music and revelry in sublime Sicily! Contact me at AllisonScola@ExperienceSicily.com or 646-281-4324 to join us!